Despite unseasonal temperatures (it’s freezing!) and heavy rain in Tirana, today has been a good day. 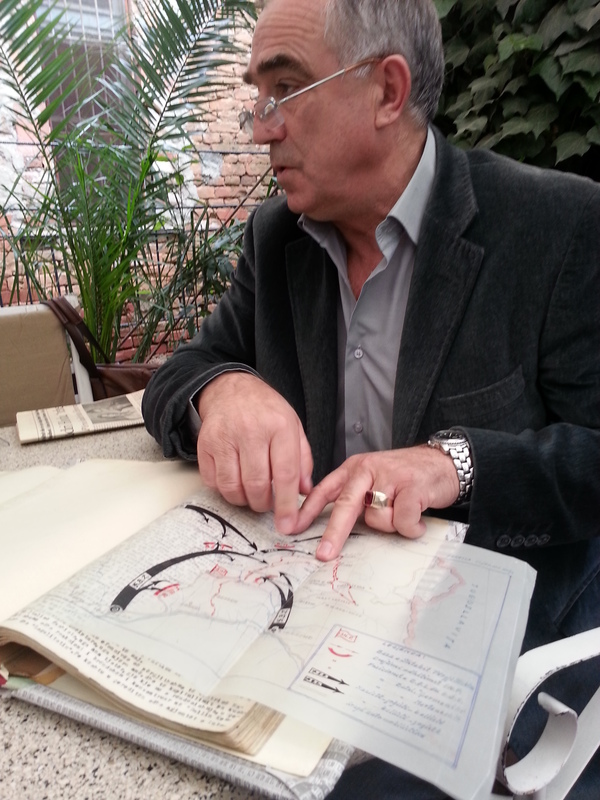 Having posted about how Albanians tend not to know too much about Brigadier ‘Trotksy’ Davies’ SPILLWAY mission of 1943/44, this morning I met a man who knew plenty – Professor Ferit Balla. Davies and a few other officers even hid up in his family house, in the village of Orenje, for a brief time in December 1943, as they tried to evade the Germans. That didn’t work out too well for the Ballas. The Germans dynamited the place, and a lot of other houses in the village, in January 1944. Ferit and his son Herold are both excited at the thought of September’s Endurance Vile Trail – in fact they’ve long harboured ambitions to rebuild the (currently derelict) family home as it was 70 years ago, using only traditional methods (apart from the plumbing and power, obviously) and launch it as a guesthouse. Professor Balla brought along a thick book that sat on the table until I dared ask what it was. 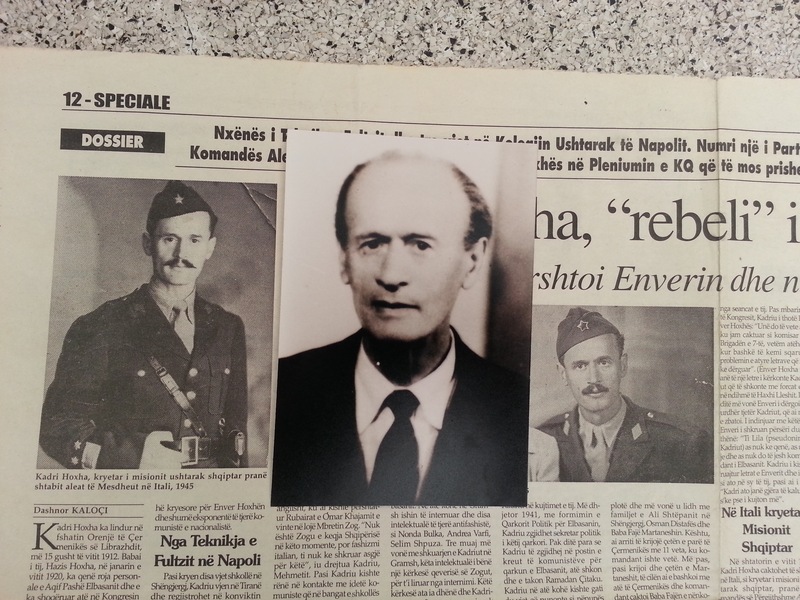 It turned out to be a volume of the unpublished memoirs of the local partisan leader, Kadri Hoxha (no relation to Enver), who was with Davies’ party as it tried, unsuccessfully, to slip through the enemy’s lines. Kadri Hoxha was sometimes viewed as a bit of a figure of fun by the British. Davies named his horse after him, to Kadri’s annoyance. But after the mission was cornered, he did much to save Major Alan Hare, who spent several weeks as a solitary fugitive, almost unable to walk due to frostbite. How did Professor Balla get hold of the memoirs? Hoxha’s wife gave them to him after her husband died in the late Nineties. 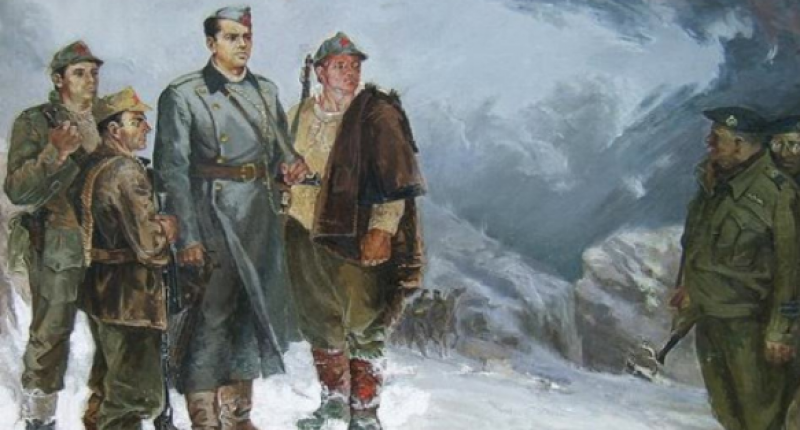 They hadn’t spent too much of their long marriage together – shortly after the war Hoxha was accused of being a British spy, and spent most of the years 1945-1991 in various Albanian prisons. A fairly typical story. When one SOE operative, Dr Jack Dumoulin, revisited the country in 1992 he met a nurse who had once assisted him, Drita Kosturi. She had been tortured and then imprisoned in a labour camp for over four decades, as Rod Bailey recounts in his The Wildest Province: SOE in the Land of the Eagle. Her crime? The communists found she had a card that read ‘Captain J. G. Dumoulin, RAMC’.